After a few months of hiatus, I had the pleasure of photographing one of my favorite clients - The Sotos, this time with Samantha's mom Barb and Tommy joining the crew. The more the merrier! 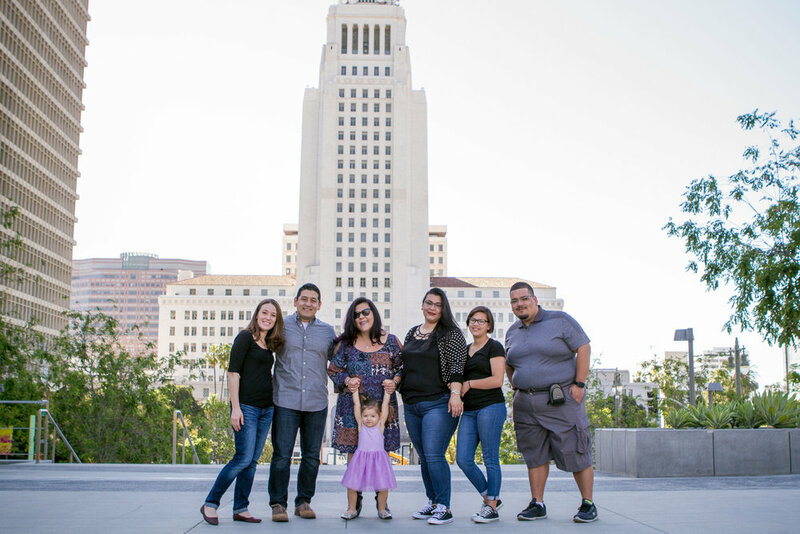 We started in front of LA City Hall and then slowly made our way into the back side of Grand Park near the beautiful fountain. It was a busy session yet time passed by so quickly. Baby Lucia once again was the spotlight of the shoot and gave everyone joy.